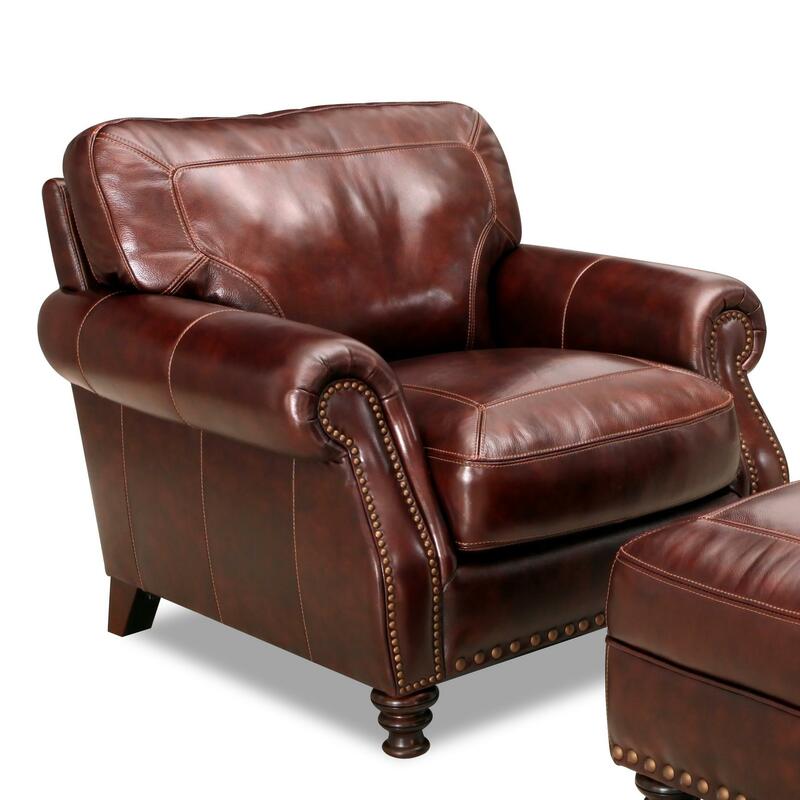 This rolled arm leather chair will make an elegant addition to any room. It features sophisticated rolled arms which are adorned in brass nailhead trim. Larger nailhead trim decorates the front border of the chair as well. Contrast stitching detail decorates the seat and back cushions, as well as the rolled arms and sides of the chair. Pair this chair with the coordinating ottoman for a terrific combination. The 6978 Rolled Arm Leather Chair With Nailhead Trim by Simon Li at Furniture Fair - North Carolina in the Jacksonville, Greenville, Goldsboro, New Bern, Rocky Mount, Wilmington NC area. Product availability may vary. Contact us for the most current availability on this product. 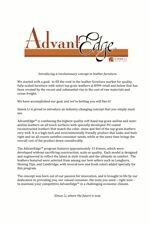 Fabric Content AdvantEdge™ combines the highest quality soft-hand top grain aniline and semianiline leathers on all touch surfaces with specially developed PU coated reconstructed leathers that match the color, shine and feel of the top grain leathers very well. It is a high-tech and environmentally friendly product that looks and feels right and on all counts satisfies consumer needs, while at the same time brings the overall cost of the product down considerably. Frame Construction Engineered frames precisely cut on CNC machines consisting of furniture grade plywood and hardwood. We wrap the frame with masonite for additional rigidity. Joints are corner blocked for extra strength. The 6978 Collection offers traditional leather styling for your home at a comfortable price. The collection features our unique AdvantEdge™ leather, and Feather Blend cushioning. It also boasts large brass nailhead trim and turned wooden legs. The 6978 collection is a great option if you are looking for Traditional furniture in the Jacksonville, Greenville, Goldsboro, New Bern, Rocky Mount, Wilmington NC area. Browse other items in the 6978 collection from Furniture Fair - North Carolina in the Jacksonville, Greenville, Goldsboro, New Bern, Rocky Mount, Wilmington NC area.